844. הִיא מִצְוָה שְׁלִישִׁית, שֶׁנִּקְרֵאת אַהֲבַת חֶסֶד. זֶהוּ שֶׁכָּתוּב (ירמיה לא) אַהֲבַת עוֹלָם אֲהַבְתִּיךְ עַל כֵּן מְשַׁכְתִּיךְ חָסֶד. אַהֲבָה כְּלוּלָה מֵהָאָבוֹת, שֶׁנִּקְרָא בָּהֶם בַּכֹּל מִכֹּל כֹּל. וְסוֹד הַדָּבָר – (שם ב) זָכַרְתִּי לָךְ חֶסֶד נְעוּרַיִךְ אַהֲבַת כְּלוּלֹתָיִךְ. 845. וְהִיא מִצְוָה רְבִיעִית, יִחוּד, מִצַּד הָעַמּוּד הָאֶמְצָעִי, שְׁמַע יִשְׂרָאֵל. וְהִיא כ”ה כ”ה אוֹתִיּוֹת עִמּוֹ בְּשֵׁשׁ תֵּבוֹת, שֶׁהֵן שְׁמַע יִשְׂרָאֵל (וְכוּ’). וּבִגְלָלָהּ אָמַר אַבְרָהָם, (בראשית כב) נֵלְכָה עַד כֹּ”ה וְנִשְׁתַּחֲוֶה. (שמות יט) כֹּ”ה תֹאמַר לְבֵית יַעֲקֹב. 846. הוּא א”ח, עַמּוּד הָאֶמְצָעִי, וְהִיא ד’, שְׁלֵמוּת הַיִּחוּד שֶׁלּוֹ לְהַשְׁלִים בּוֹ אֶחָד. א”ח כּוֹלֵל תֵּשַׁע סְפִירוֹת, שֶׁהֵן א’ – אֵין סוֹף, ח’ – שְׁמוֹנֶה סְפִירוֹת, מֵחָכְמָה עַד יְסוֹד. ד’ – מַלְכוּת, הַקּוֹץ שֶׁלָּהּ, בָּהּ נִשְׁלָמוֹת לְעֶשֶׂר, שֶׁהֵם יוֹ”ד הֵ”א וָא”ו הֵ”א. ד’ כְּלוּלָה מֵאַרְבַּע אוֹתִיּוֹת יְהֹוָה. 847. מִצְוָה חֲמִישִׁית, (יהושע א) וְהָגִיתָ בּוֹ יוֹמָם וָלַיְלָה. הִיא תּוֹרָה שֶׁבִּכְתָב מִצַּד הַחֶסֶד, וְתוֹרָה שֶׁבְּעַל פֶּה מִצַּד הַגְּבוּרָה, שֶׁבָּהֶן חָכְמָה וּבִינָה. כְּמוֹ שֶׁפֵּרְשׁוּהָ בַּעֲלֵי הַמִּשְׁנָה, הָרוֹצֶה לְהַחְכִּים – יַדְרִים. לְהַעֲשִׁיר – יַצְפִּין. וְהָעַמּוּד הָאֶמְצָעִי כּוֹלֵל אֶת שְׁנֵיהֶם, וּמִפְּנֵי זֶה נִקְרָא שָׁמַיִם, כּוֹלֵל אֵשׁ וּמַיִם, אֵשׁ שֶׁל גְּבוּרָה וּמַיִם שֶׁל חֶסֶד. The second special precept is from the side of Gevurah and it is יראה, “awe” and “fear”. Gevurah, גבורה and יראה has the same numerical value of 216. This precept is implied in the first word of the Torah בראשית, when we arrange the letters as ירא בשת, meaning “fear of shame”. The sages explained that if a person acts without fear of shame, it is certain that his ancestors didn’t stand on Mount Sinai at the Torah Revelation. Love that is the aspect of Malchut, were included in the patriarchs that received the love and Chessed of God because of their merits. 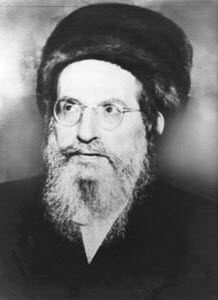 The fourth special precept is the unification of the Central Column with the prayer of Shema Israel that is in Zeir Anpin. The six words of the Shema have 25 letters. אח from the sixth word of the Shema אחד is numerically 9 and the aspect of the central column that includes all the sefirot of Light from Keter to Yessod. א is the source that is the Endless Light and ח numerically 8 for the eight Sefirot from Chokmah to Yessod. ד of אחד represents ‘poorness’ and ‘lack’ and is the aspect of Malchut. It has numerical value of 4 to represent the vessel for the 4 letters of YHVH. The ד has a dot on the top right of it and is the aspect of Yod, numerically 10. The Yod supports the potential of the vessel to receive the light coming from the ten letters of the YHVH of Zeir Anpin יוד-הא-ואו-הא. The fifth special precept is Johua 1: “וְהָגִיתָ בּוֹ יוֹמָם וָלַיְלָה” “…and you shall meditate on it, day and night”. This precept is about the study of Torah. The written Torah is from Chessed and the south direction where it includes connection to Chokmah (Wisdom). The oral Torah is from the side of Gevurah, north direction and connection to Binah. The sages said “הָרוֹצֶה לְהַחְכִּים יַדְרִים – לְהַעֲשִׁיר יַצְפִּין’ (בָּבָא בַּתְרָא כ”ה:).” “the one who seeks wisdom will go south and for richness will go north”. These are not physical directions because every point on earth (except the polars) is relatively north or south to another point. The direction is the aspect of the Tree of Life. Chessed is south and on the right column, under Chokmah. To get ‘wiser’ one should act with Chessed, kindness and reveal the Light of Chokmah in his life. To become rich, a person should build a big vessel on the left side of Gevurah that is under Binah where all the sustenance to the world comes from. Before you go ‘north’ you should know that there’s no richness if the person doesn’t have a ‘north’ direction in his Tikkun process. Also there’s no richness without sharing. The central column is called שמים, ‘heavens’ and includes both Chessed, water, מים and Gevurah, fire, אש. אש+מים=שמים. When we connect the right and the left, we form the central column with access to heavens, and benefit from wisdom and sustenance.